Happy Fall my friends! I hope the first weeks of school have treated you well and this year is shaping up to be the best year ever. I love using mentor text lessons to kick off a new comprehension or writing skill. Using a beloved picture book to model for your students the process you take to fully understand a text is so important. It is a great time to slow down, and practice the "I do" and "We do" of a gradual release model before letting students practice the "You do" on their own. 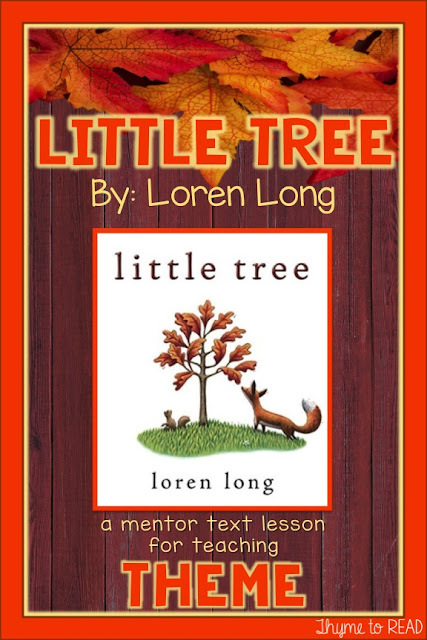 A favorite Fall book of mine is, Little Tree by Loren Long. Long is the illustrator of The Little Engine that Could, author of the favorite, Otis the Tractor books, and he co-authored Of Thee I Sing with President Obama. These titles are well worth the trip to your local bookstore to check out. Little Tree is about a tree who loves life, and cherishes its' leaves, so it holds onto the leaves throughout several seasons, and as a result remains unchanged. Everything grows and changes around the tree, but it continues to hold onto the leaves. After much time, the tree comes to realize the decision it must make, and embraces change and growth. The tree drops its' leaves and grows into a large, strong tree. On the surface, this text would be a great addition to your library, to welcome Fall and discuss the changes of the season. This text, paired with a non-fiction text about the changes of Fall would kick off the season perfectly. However, there is a deeper meaning about personal change and growth. The tree needed to let go of something very important to it, so it could grow into something even more amazing. 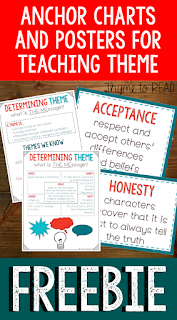 Before reading this text, you will want to introduce your students to THEME. When starting a new skill, I always seem to be asked, why do we need to learn this, or how will this "really" help me? So, for that reason, I have started giving my students the 'why' right up front. 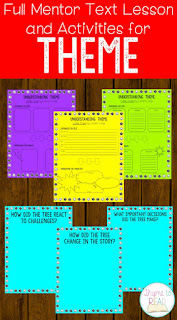 Not only do I instruct on what the theme is, but I also tell my students why we need to uncover the theme. This can help establish the importance of your lesson, and hopefully cut back on the "why whines" as I call them. To start, you can discuss with your students themes of other popular texts, movies or songs. It is important to share with them some key components of a text they will need to understand in order to determine the theme successfully. 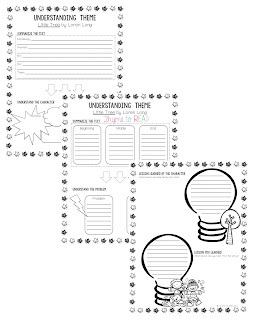 Skills such as summarizing, and identifying character traits should be introduced prior to teaching about theme. 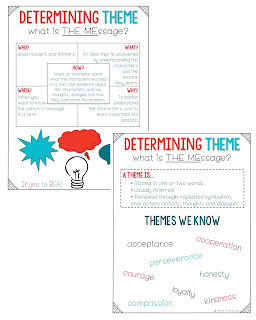 This anchor chart FREEBIE can help you set the stage to explain and justify your lesson on theme. 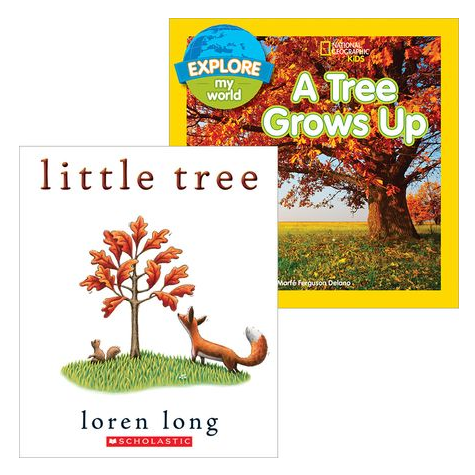 To introduce the text, you can ask students what they know about trees in the fall. Hopefully you will get a lot of discussion about how they change, and eventually drop their leaves. Then, you can ask students to predict what would happen if a tree didn't drop its' leaves. You may choose to prepare your students even more and ask them about a time they were afraid or resisted change. You can ask them about the outcome of resistance - Did change come anyway? What positives came about because of change? Who helped them through a change? While reading, you can draw your students' attention to the changes (or lack of) the little tree is experiencing. When discussing within the text, you can ask your students to compare and contrast the little tree to the trees around it (they can use the illustrations). Starting to discuss beyond the text, your class could share why the tree is not letting go of its' leaves - the leaves provide shade, and rustle in the breeze - the tree loves its' leaves. 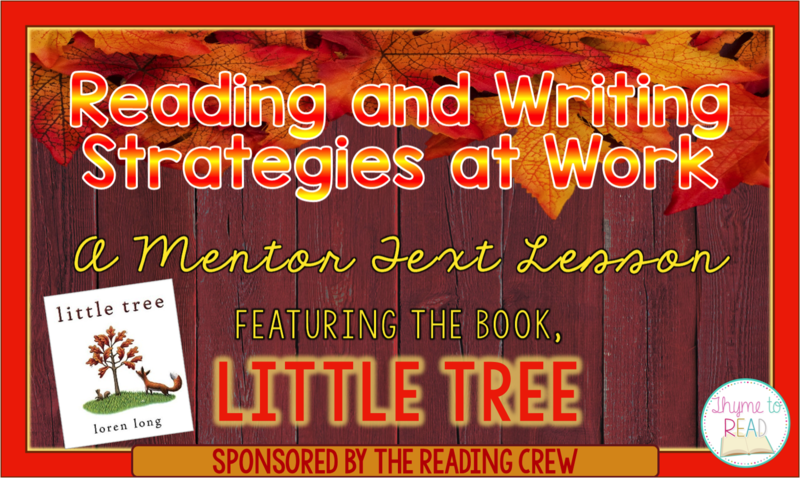 You can challenge your students to really think beyond the text, and make an inference that the tree is comfortable holding onto its' leaves, and is avoiding change. Once you have read the text aloud to your class, and guided them through discussion that will help their understanding of the story and character, it is time to start uncovering the theme. If you are using this text to introduce theme for the first time, or as a reteaching, the remaining part of the lesson would best be done as a teacher heavy think aloud, with leading questions that will help your students construct the theme. If your students are familiar with theme, and this text is serving additional practice, you can provide scaffolding through your questions, but release more of the discussion and uncovering to your students. You can now use your during reading discussion to summarize the story, paying special attention to the problem and solution of the story. I find using the Somebody, Wanted, But, So, Then structure very helpful for students to easily identify and relate the problem and solution within the story. However, in the resource that supports this text, I included a differentiated option for your students. You can use Beginning, Middle and End to summarize the story, and also highlight the problem and solution (either in writing or pictures). This version may better support your struggling readers. Understanding the character is very important to the development of theme, so you could draw upon your discussion of why the tree held onto its' leaves. With my students, I identified the tree as 'reluctant'. We then pulled evidence of the tree's actions, thoughts and dialogue to support this trait. By describing the tree as reluctant, nervous or uncertain, it connects the problem and starts to shed light on the fear that comes with change and the unknown. Some of my students picked up on the tree's personal growth, and argued that the tree was brave. This discussion and evidence of character change, made for the perfect transition into a discussion of theme. I don't know about your students, but mine LOVE to talk. They are getting better at academic talk, but they just have a need to converse! With that said, I try to give them as many opportunities to do so throughout the school day. This lesson was no exception. By breaking my class up into small groups, I was able to facilitate more discussions than I could with a whole group. I proposed three questions related to the tree overcoming the internal struggle. In the small groups, students discussed their answers to these questions. As a group, they developed a collaborative answer and wrote it on a post-it. The post-it was left behind on a poster (with the question), and they moved to the next question. In about 15 minutes, all students had collaboratively answered all three questions and were ready to debrief. To get my students thinking about the text, I asked why they felt the author wrote this text. Yes, I got in a quick author's purpose question there. But, it is because author's purpose IS the theme. I really try to teach these skill together. 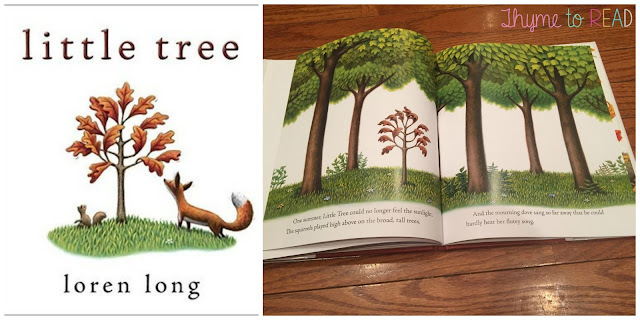 In this case, the author wanted to model a lesson about growth and change through the experiences of a little tree. I also find my students have a hard time understanding that theme isn't just the lesson that the character learned. So often I hear the lesson learned is that 'the tree needed to drop its' leaves so it could grow into a big, tall tree.' Yes, that is the lesson the tree learned, but, that is not the theme. For my students, it has been crucial to connect the lesson learned to themselves, so they can best uncover the theme. By now taking the tree out of the lesson, they can be left with how everyone must go through change, sometimes difficult and unwanted change, to learn and grow up. Finally, to wrap up this lesson, you could connect this to a writing prompt in which students write about a time they needed to change, and have them describe the outcome of that change. The stories are always very interesting, and can be revealing of some deep stories from the students who need our love the most - which makes this a perfect theme not only for the changing of seasons, but also still so early in the year when we are getting to know our students. This is such a wonderful book to share in early or late fall as the tree are really starting to loose their leaves. Change and growth from change are themes all of our students experience, and this text does a great job of sharing and explaining that message in an easy to understand way. This post was part of a mentor text link up hosted by The Reading Crew. 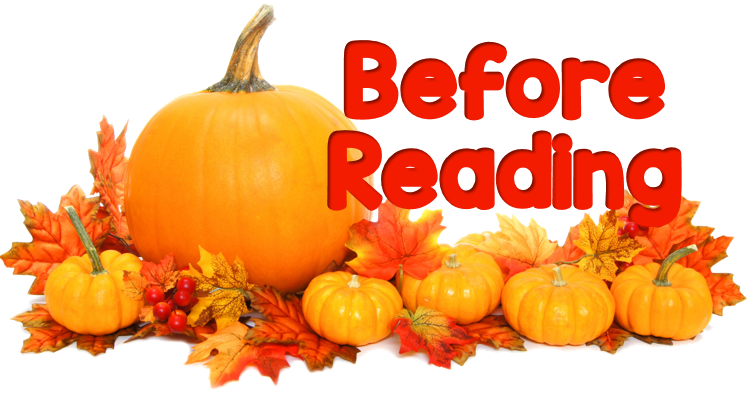 On each blog, a Fall mentor text lesson using a book and focusing on a vocabulary, comprehension or writing skill has been featured. The posts and resources from The Reading Crew, never disappoint, and this time was no different. Check out all the posts below. Incredible post as always! I've never heard of this book but it looks great! I love the theme activities!